National Dog Bite Prevention Week is April 7-13, 2019. Over 4.5 million people are bitten each year and over 800,000 of those bitten require medical care. Over 50% of the victims are children and a higher percentage of the kids being bitten are under the age of 4. Over 50% of the biting dogs belong to family or friends, and greater than 77% of the bites occur on the dog owner’s property. These statistics show why it is important to always be aware of your dogs interactions with adults and children in and around your home. Never go near an unfamiliar dog. If an owner is present ask permission to pet before reaching out to touch them. If they say no, respect that and walk away. Never place hands inside fences or kennels to pet dogs. Never run from dogs as this encourages the dogs to chase. 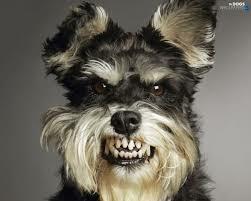 Never approach a dog if growling or showing its teeth. A child not trained to be aware of this may think the dog is smiling. We show our teeth when happy. Never scream around dogs since this can be an instinct to attack. Never startle dogs from their sleep. They can come out confused and bite out of instinct. Wake them first with touch or calling their name. Never leave small children unattended with dogs. Many homes trust their dogs and do not worry about their dog with their child, but what if the unthinkable happens. Never touch dogs that are sick or injured. They may bite because of pain. Never approach a dog that seems fearful and is hiding or avoiding you. Over 30 different breeds have caused human fatalities in the last 30 years. There are certain breeds that appear to be listed more frequently than others, but the take away is that any dog can be vicious. Large dogs are more likely to cause serious damage but small dogs seem to have a higher possibility of biting out of fear and anxiety. 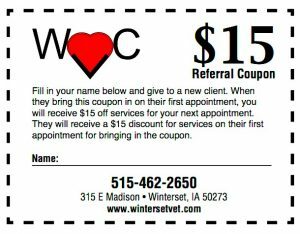 Here at Winterset Veterinary Center we see dogs of all sizes, ages, colors, and breeds. We always are cautious, even when an owner indicates their pet would never bite. Often times when a pet does attempt to bite during an exam the owners are completely shocked by this behavior. We often times are not surprised since we can pick up on body language that dogs offer up indicating they are not comfortable with a situation. A few simple things to take notice of are dogs licking their lips, yawning, looking away from the person they are avoiding, tail tucking, and ears pinned back are all signs that this dog is not comfortable in this situation. Not every dog will bite after showing these signs but the potential is there and either the dog should be left alone or it should be approached with caution. If you are fearful of a dog that is approaching you, DO NOT RUN! Even if you are the fastest person on the track team the dog will pursue you. Chasing moving targets is an instinct that dogs act on. 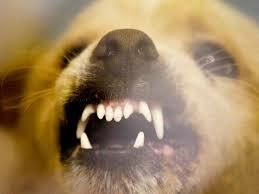 Screaming is also important to avoid since dogs often hear high pitched sounds and consider it a sign of weakness. A reason to be silenced and attacked. Why else are they relentless with that squeaky toy to the point of silencing it? Children have been taught since early ages that if they are on fire — they should stop, drop, and roll. Please teach your children—ICE, TREE, ROCK for dog bite prevention. It may save their life someday. Ice indicates to freeze in the presence of a strange dog. Tree encourages them to stand tall and not look directly at the dog’s eyes since that can be seen as a challenge. Rock is used when knocked to the ground by a dog and you curl up into a ball and protect the face and belly with your arms and legs. As difficult as it would be, you should try to tell your children not to scream as this encourages the dog to continue to attack. Dogs bite for a large number of reasons. I could not possibly list all the situations that could potentially lead to aggression or biting. A couple of important things to remember is early socialization, in the first 14 weeks of the puppy’s life, it is critical to making your puppy comfortable with new situations and all ages of people. Dogs that miss this window of opportunity can learn new social skills but the challenges are much greater. 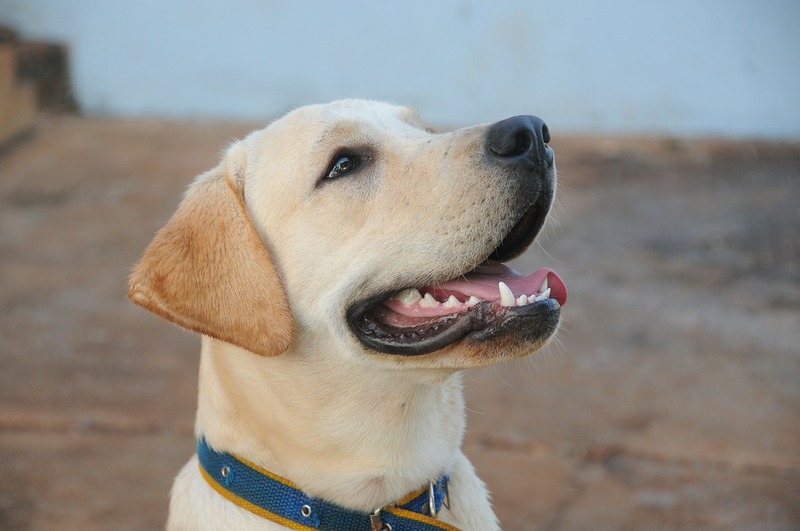 Avoid rough play with your puppy where you are encouraging barking, growling, or nipping at people. If allowed to play rough with one person, they will consider this okay with all people from babies up to the elderly. Start training your puppy to sit, stay, come, down, etc., immediately. These basic commands teach the puppy they need to listen and respect you. A responsible pet owner will have their pet spayed or neutered to avoid unwanted puppies. 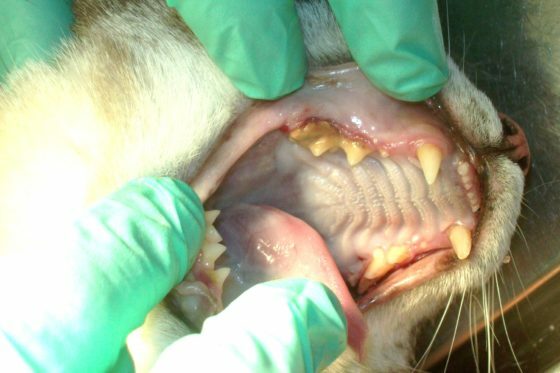 It has been shown that neutered pets are 3 times less likely to bite. Being responsible also means keeping this pet for its entire lifetime which can be 15-20 years. Unfortunately, I have seen far too many owners give up their pets when they find them to be no longer desirable. Taking your pet to see the veterinarian for preventive care and seek out a training program that can help your dog live out its natural instincts. Exercise your pet daily so they can feel exhausted at the end of the day. The late Dr. Sophia Yin has a poster about kids and pets. Follow this link How Kids and Pets Should Not Interact and get your free copy of this poster and share with your kids or students. Maybe if we spread this information, we will see the number of dog bites annually decline. Dogs are the most popular pet in households within the United States. Let’s work to make them the safest pet to have in our homes by being responsible pet owners and educating our friends and families about dog bite prevention. Each February and September the IVMA (Iowa Veterinary Medical Association) invites veterinarians to attend their conferences. These conferences are held either at Iowa State University at the Scheman building or at Prairie Meadows Conference Center in Altoona. On Valentine’s Day, I attended the 2nd day of speakers and visited the booths of many of the companies that sell animal products from surgical to medical to dietary items. It is also a time we can share ideas and renew friendships with other veterinarians that attend the conference. New techniques and ideas are shared by speakers that come from all over the USA. Dialogue is encouraged during the sessions to enhance the learning opportunity for everyone. I did not expect to attend a session that resonated with me so soundly. However, the sessions I attended were on the topic of Chronic Kidney disease (CKD) and how it is affected by other diseases. I have my own personal experience with CKD that I will detail to come. We learned about how important it is to screen for these different diseases early in our pets to allow a longer and better life. The take away is that kidney disease is something that cannot be detected on physical exam. Laboratory work is necessary to screen for this devastating disease. Dr Greg Grauer indicated that these tests are best performed annually so comparisons can be made from one year to the next. If elevations are noted this may be a cause for concerns even if we are still in the normal range. The second session I attended by Dr. Grauer began by sharing some statistics of human kidney disease. I question if he was prompting veterinarians to “Go to the Doctor.” We should be more aware than the general population that these diseases cannot be found on physical exam. We should be keeping our diet and exercise in check to prevent obesity which is one of the leading causes of diabetes and high blood pressure. Diabetes and high blood pressure are common causes of CKD. This topic of human CKD is very familiar to me. My younger brother was diagnosed suddenly with CKD in the spring of 2017. He was totally unaware of any issues before his diagnosis. The process he went through at Mayo in Rochester determined he was transplant eligible. They never gave him a definitive cause for his CKD. They recognized he did have high blood pressure. He had taken numerous allowable doses of Advil when in pain. He had a kidney stone a few years prior that may have caused a stricture in his ureter. He was born prematurely in 1965 and maybe had some damage early on. Whatever the cause he now was faced with changing his lifestyle while waiting for a possible donor. He was given strict dietary measures to reduce damage to the remaining kidney function. He was told to lose weight. He was placed on medications to lower his blood pressure. He made frequent trips to Mayo to monitor his blood levels while waiting to see if a donor could be found. They prefer to keep transplant recipients off dialysis, if possible, before transplant. This is a fragile time line. Myself and my 2 sisters were willing to be tested to see if we could possibly be donors. The first step is an online questionnaire. Both of my sisters were not allowed to continue the questions related to health concerns of their own. I completed the survey and submitted it and later found out that I had passed the first step. They sent me a laboratory test kit to have blood drawn at a local facility to see if our blood types were compatible. Siblings can have very different blood types. It turned out that my brother and I were considered a “perfect match.” This indicates that we have the same blood type which is crucial. Yet to be a perfect match the other 6 subcategories need to match up as well. We were 6 for 6. They will do transplants with 3 or 4 subcategories of the 6 matching up. When these subcategories match up it may allow for less rejection medications and better opportunity for the kidney to live a long and natural life within my brother. 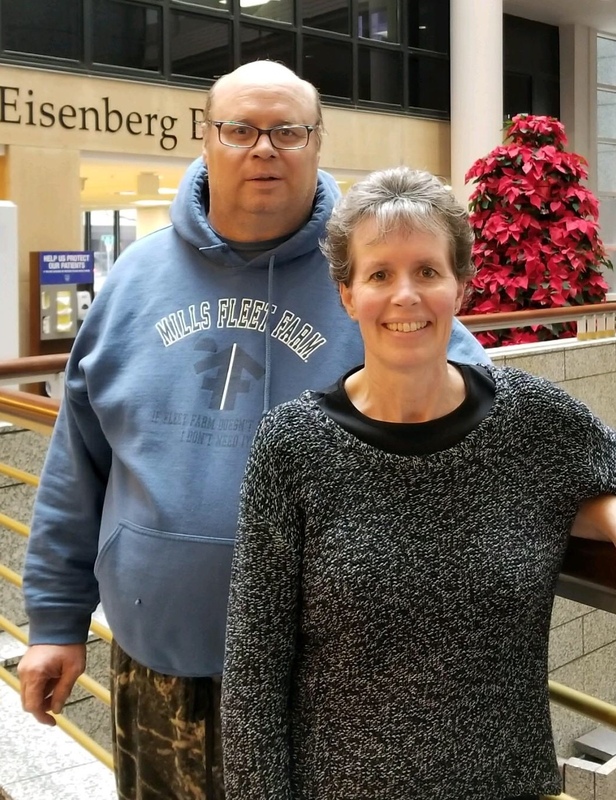 The doctors at Mayo indicated that 52 years ago they had another sibling donor-recipient transplant that was a perfect match and both are still doing great. In January of 2018, I spent 3 days in Rochester going through evaluations of my physical and mental health. I had my own transplant team that supported me through the process. If at any time I determined that this was something that I did not want to do, all I had to say was I have decided I do not want to do this and it would be over. They told me that even the day of surgery I could back out. They reminded me numerous times that I did not need to do this. They asked me numerous times, “Why are you doing this?” They gave me all the statistics from the successes to the potential failures. They presented the “What if’s?” What if my kidney is rejected? What if my brother does not take care of the kidney that I have given him? What if my family does not want me to do this? What if something unforeseen happens to you or your brother? It was almost as if they were trying to talk me out of doing this procedure. I guess in a way they were preparing me for anything and everything. It was only a few weeks and I received a call that I had passed and was able to be a donor for my brother. I waited to tell him so I could contact all my children and share the news with them first. I then made a trip north to let him know that I would love to be his donor. November 21, 2018 was the date set to do the transplant. They would first operate on me and then soon after place the kidney into my brother. Both of my kidneys were healthy and so the left kidney would be removed. I would have two incisions for instruments on the left side about 1 inch in length and one lower horizontal incision about 3-4 inches to remove the kidney. There were 15 family members present in the waiting room supporting both my brother and I. We had prayers from more people than I can name during that entire procedure and recovery period. My kidney was placed within my brother and started working very quickly. The family would get updated text messages from the OR as things were happening. I am happy to report that my brother and myself are doing extremely well. I received a “Donor Diploma” from Mayo that I am proud to own. I am hoping that by sharing this experience it may encourage others to consider being a living donor. I did this for my “baby brother” because I could not bear to see him restricted from living the life he was meant to live. Mayo hospitals perform these procedures multiple times in a year and have high success rates for both donors and recipients post-operatively. CDK issues occur in our fur babies as well. Transplants and dialysis are currently not an option. Obesity in pets is at an all-time high. We feel that if we love our pets, we should shower them with treats, chews, pet food, people food, etc. This is not the way to show love. Love needs to be shown through time spent with your pets by playing games and offering lots of tender loving care. Our pets will most definitely eat whatever is offered to them but I would encourage you to instead get out their leash or ball or both and go outside. The exercise will not only be great for them but also yourself. During our long cold winters, it is hard to spend time outdoors with our pets. I would challenge you to sign up for a class at the local dog training facility. Take a trip to a pet store to walk around and meet other pets and people. It is amazing how exhausted our fur babies can become when their mind is stimulated with new activities. Some hardware and home builder businesses allow dogs on leash to shop with their owners. Take them to doggy daycare for a day and see how tired they are when they come home. If the sun is shining and the wind is not blowing take a walk outdoors and be sure to wash off their feet when you come back inside. Some ice melt products can cause an irritation to the pads of our dogs. 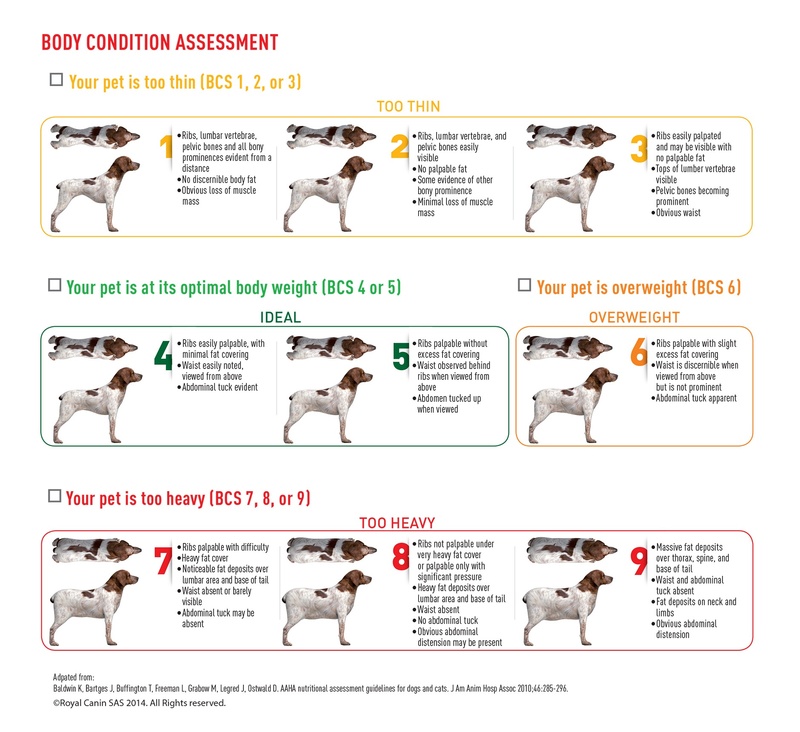 Strive to keep your pets body condition score at a 4 or 5. This will help them live a much longer and happier life. If you know of anyone in need of a kidney and you have wondered if you could be a donor, do not hesitate to find out. I was told the oldest living donor Mayo has had was in his early 70‘s. My brothers insurance covered all medical costs associated with the transplant. There are grants and tax deductions available for out of pocket expenses not covered by insurance for living donors and recipients. My only restriction after surgery was no lifting of 10# or more for 4-6 weeks. I returned to work the day after Christmas and have been doing great. I expect to live a long and healthy life with my one kidney. I pray that my brother will be able to do the same. Either way I have no regrets. If being a living donor is not for you then at least consider being an organ donor after your death. The number of lives that you can impact after your death by organ donation is amazing as well. It is easy to have “organ donor” added to your driver’s license. Anyone can be a donor now or later. 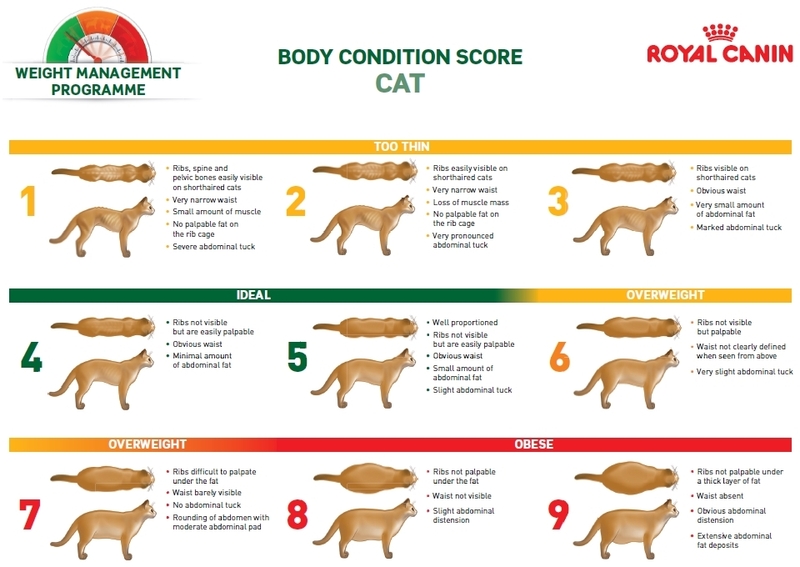 If you are wondering if your pet should be screened for CKD or other health risks speak with your veterinarian. Most cats over 10 years of age and dogs over 8 years of age are considered senior pets. Starting laboratory testing at this time will offer a baseline for your pet’s future. Early intervention in the face of these diseases can offer added years with your fur baby. February is the month that we focus on education about dental disease and the need for pets to have professional cleanings to remove tarter and decay that has built up on their teeth over the years. Many pet owners do not know that this is an important part of care! Most pets have some form of dental decay as early as 3 years of age since most owners chose not to brush their pets’ teeth daily. Brushing a pets teeth is the best way to keep them healthy. There are chews and special treats and diets that are helpful when attempting to freshen your pets’ breath or reduce tarter. Yet, nothing seems to work as good as regular brushing. It is important to prevent your pets from chewing on items that are harder than the surface of their teeth. These items, such as bones, antlers, rocks, and hooves, will often cause fractures or flattening of the tooth surface. It is best to avoid these and keep your pets’ teeth healthier through the years. Many studies have shown that poor oral health can have significant effects on other organs within the body. The biggest concern is with the heart, liver, and kidneys as bacteria becomes systemic and deposits within these organs. 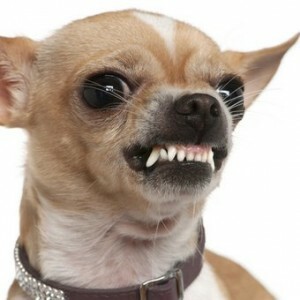 When pets have bad teeth, they often will not chew their food and that leads to more tooth decay. In recent years veterinary dentist have surfaced to help fix fractured teeth to prevent pain associated with the exposed pulp cavity. They have improved the bite of young dogs that were born with congenital defects of the jaw. Veterinary Dentists have repaired cavities to preserve the tooth that has been damaged. Advanced veterinary care has continued to improve the quality of our pets’ lives. 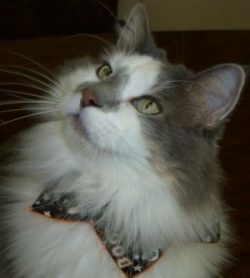 These procedures are not for every pet but it is important that pet owners know their options. If you are interested in learning more about Veterinary Dentistry, we can refer you to the specialists. If you have noticed odor from your pets’ mouth, I would encourage you to flip up their lips on each side and look at the teeth and gums. If you see more brown than white on the surface of the tooth or notice extremely red gums above the tooth surface, your pet is in need of a professional cleaning. I wish we could clean a pets’ teeth without anesthesia, but pets could not remain still during the cleaning/polishing procedure. The biannual exams and cleanings humans receive are difficult for some of us so image how a cat or dog would react. 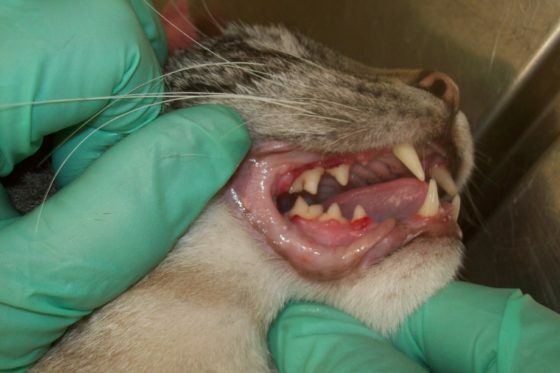 I know anesthesia is a concern but ignoring a pets’ oral health is a huge risk as well. Once a professional cleaning has been done it would be wonderful if you began home care to reduce the build-up in the future. Brushing your pet’s teeth is the most effective way to prevent tarter build up. Other options include special prescription diets that will reduce tarter when the pets chew the kibble. A new product called “Oravet” can protect a dog’s teeth and offer fresher breath if offered once a day. Finding a healthy chew or toy that your pet will chew on at least 15 minutes a day can promote healthier teeth and gums. Avoiding soft foods and treats that stick to the teeth is helpful. There are any number of items that can help reduce tarter build up but nothing is more effective than brushing your pet’s teeth. Teaching a pet to allow brushing of their teeth is much easier to do when they are a young puppy or kitten. At an early age we see more success in getting acceptance of handling their mouth and introducing the toothpaste/toothbrush. Starting this routine early, many pets will find it a fun daily event and look forward to it. The following video was created by a client of ours that has been brushing her pet’s teeth for a number of years. The teeth look amazing and she has yet to do a dental procedure on any of her pets. It really does make a difference if you are willing to take the time to brush daily. It is possible to teach an old pet to allow you to brush their teeth. It requires more patience and persistence but the rewards are worth the time and effort. With the cold winter days, it makes getting outdoors with your pets next to impossible. Why not start working with them to allow you to brush their teeth? Why not schedule a professional dental scaling to improve your pets’ oral health and reduce risk to other internal organs? Your pet will thank you and those kisses will be more enjoyable. Subscribe to our email list for news and info! Hemingway has his own Facebook page! Please ask to be his friend. He will provide lots of good information and updates on exciting things happening in the office.